The New Obsession That’s All Your Fault. 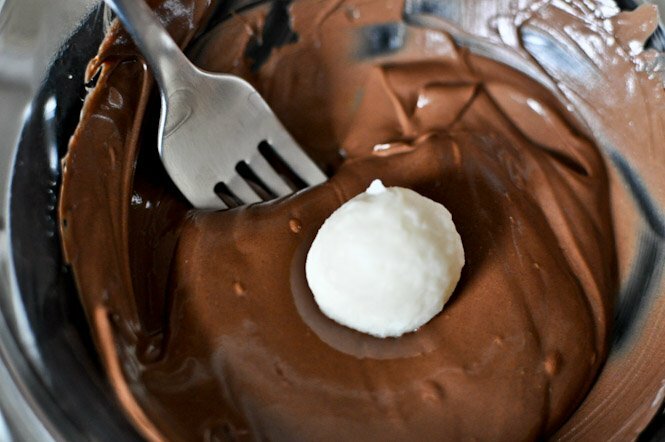 The coconut filling made from condensed milk is actually called a “brigadeiro”….they are the famous truffle dessert of Brazil. 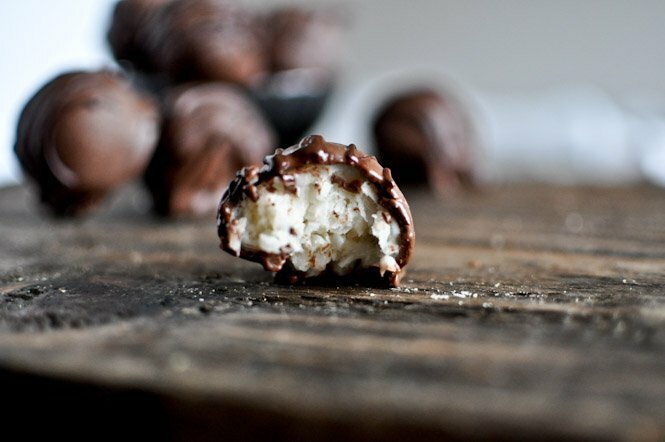 Instead of dipping it in chocolate so the outside hardens, the Brazilians roll them in sprinkles, coconut shavings, or nuts…..you can do many different flavors with walnuts, cocoa powder, etc. they’re amazing! He ate one ………………… did he eat anymore? I have the texture thing also, but I can do desiccated coconut. Wondering if you think these can be made ahead and be frozen???? your thoughts? Hey can we use dessicated coconut, if fresh coconut isn’t available? These were fantastic! I loved how moist they were. Thanks for sharing! I have to tell you how much I love your blog! One of my favorite foodie ones. I always drool and pine over each thing you post. But rarely every make anything–from anyones, because I have ZERO self control. So unless I am taking something somewhere it doesn’t happen. 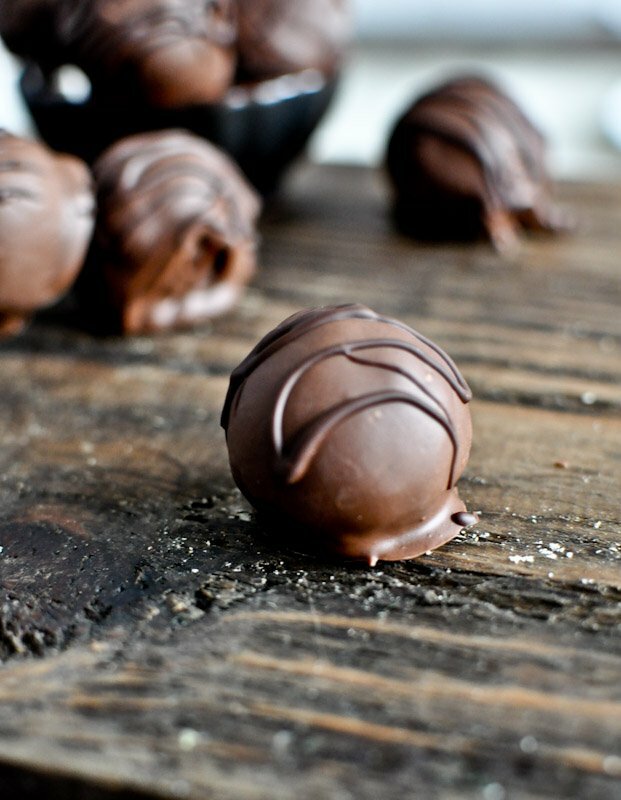 Well these truffles have been on the back of my mind to try since you posted them. I finally had my opportunity last night. Some friends of ours host a yearly “cookie party” where everyone can taste everything and then judge. Well, these little gems of yours got me “The Tastiest” So thanks :) Big hit by all. Will be making again. 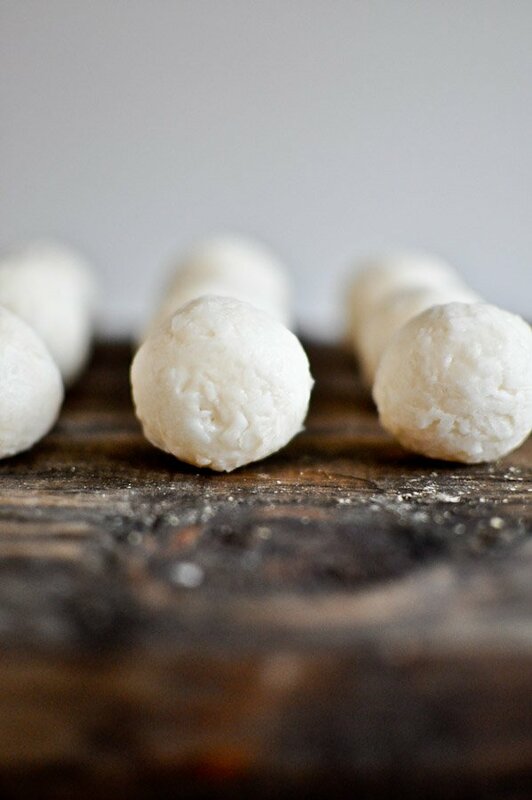 What’s the consistency of the coconut goo before it is refrigerated? Would it be possible to pipe it? I’m thinking of using this recipe as filling for molded chocolate truffles. it might be a little too thick to pipe… but if you use a wide tip it may be easier? I’m a Pastry Chef, and have been making dipped candies for over 45 years now. 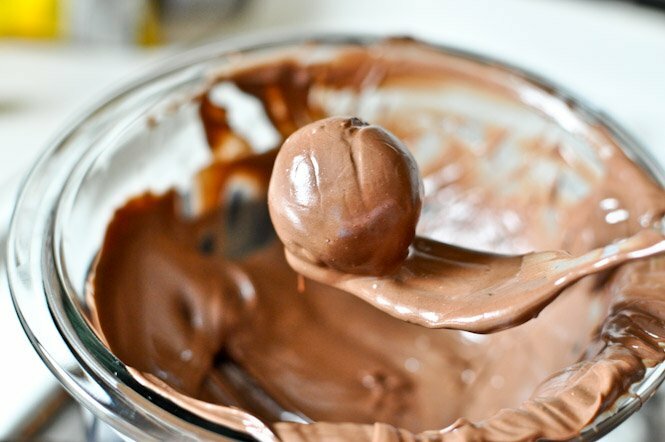 I haven’t frozen a candy center or truffle, before dipping in melted chocolate, for several years. 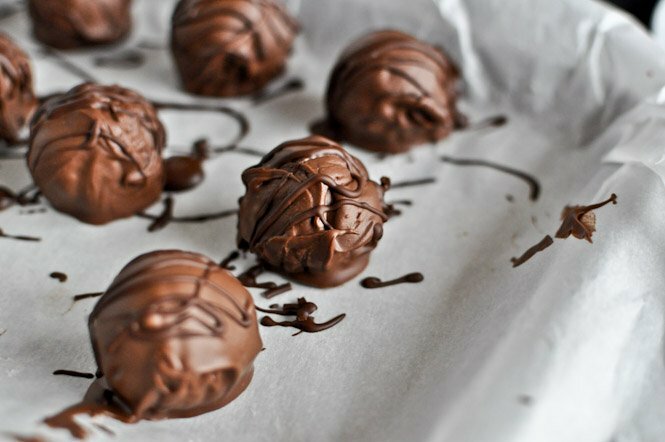 I see in one of your pics that a dipped truffle has ridges on it, and I’m sure that this is because the truffle was frozen. 45 years ago, my mother handed me her recipe for a candy she dipped, and it called for freezing the candy centers. When I first made them, my coating had ridges too. Her recipe also called for adding paraffin to the chocolate chips, and using a toothpick to dip the frozen candy balls. Hope this helps in you achieving a smoother candy coating. It’s me again. 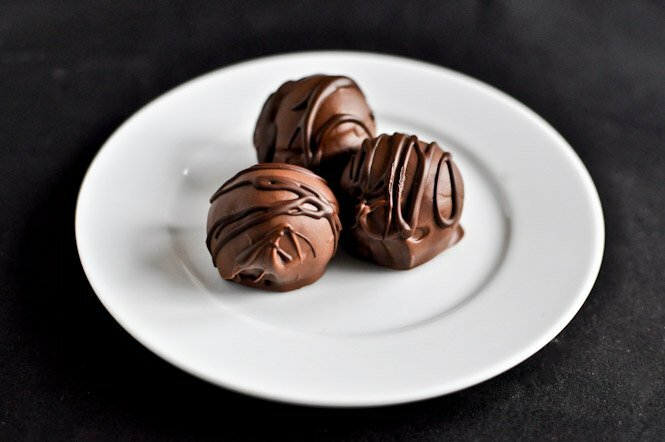 I failed to mention that I do refrigerate a truffle before dipping it, but do not freeze it. Most of the candy centers I make, however, I do not. If I leave them out to air dry for several hours, or overnight, they develop an outer crust, and can be dipped at room temperature. Sometimes, when they are hard, and I lift them off the parchment paper, they have a little of the center showing on the bottom. When that happens, I melt a little more coating, pipe a small circle on parchment, and place the candy or truffle on top. This will seal up the candy on the bottom. If I don’t do this step, they will sometimes ooze out butter, or a similar ingredient, making the candy cups I box them in messy. Pingback: Busy Being Jennifer | Pass the Truffles Please! how sweet do these come out? they look delicious, but I usually cut the sugar in all my recipes. 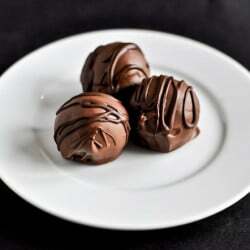 As truffles (which I love) tend to be in the dark chocolate side and not too sweet. can I make these a week ahead and freeze them?